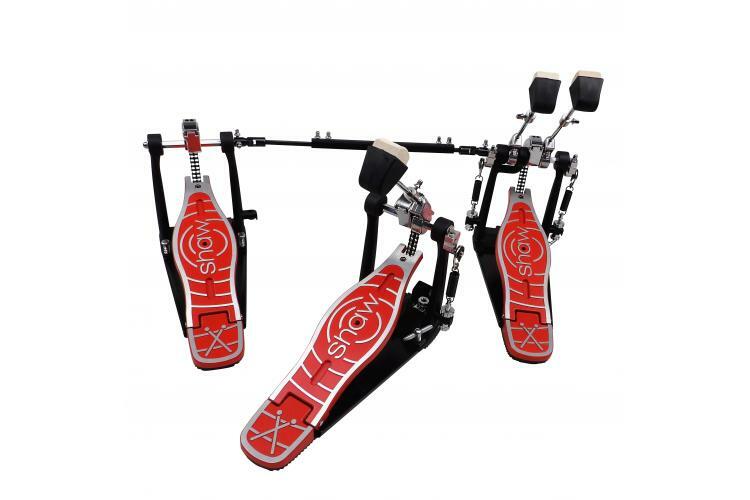 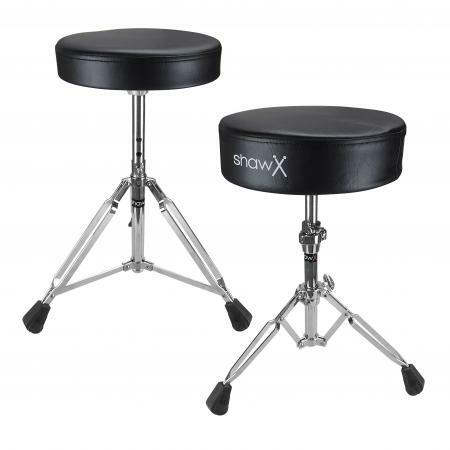 Available in single and double pedal format. 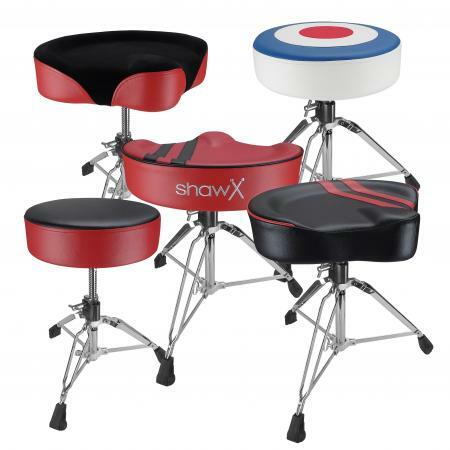 Features include cast footboards, finished in distinctive Shaw red with low angled heel plates. 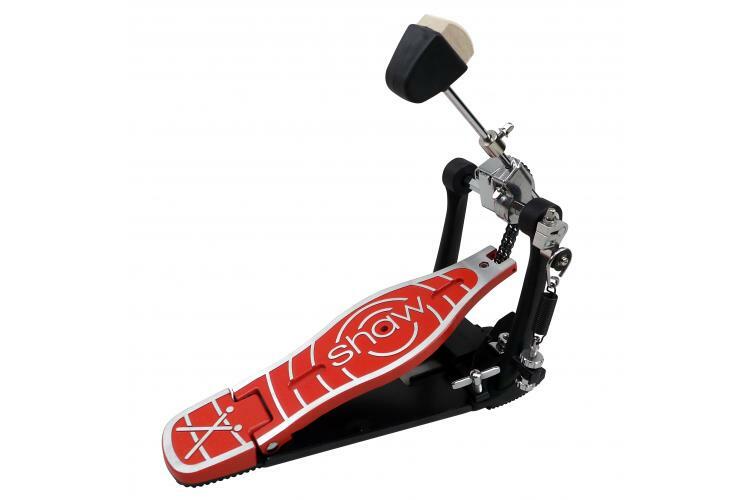 Excellent pedal grip for all styles of playing. 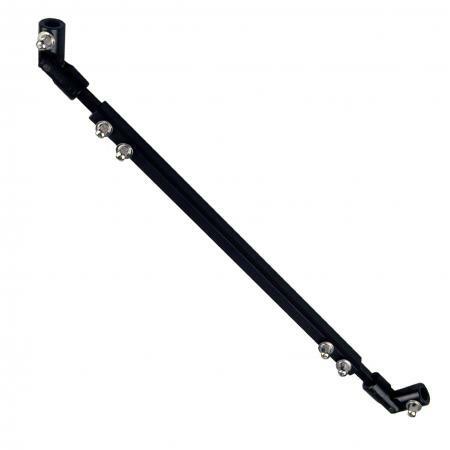 Solid base plate with black, textured coated A Frame. 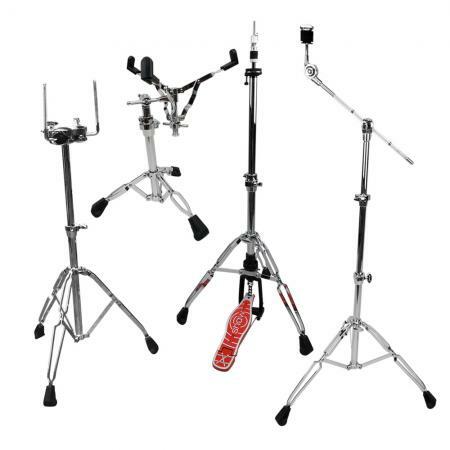 Double chain drive, heavy duty adjustable springs and easily adjusted, off-centre hoop clamp. 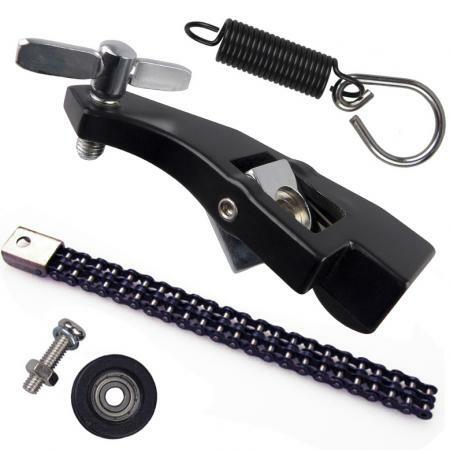 Supplied with speed beaters with moveable counter-weights. 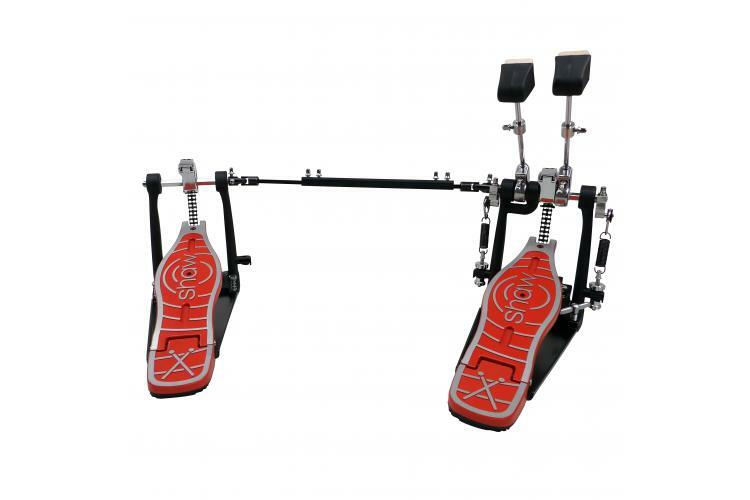 The double pedal has a fully adjustable link bar and sprung anti-slip pins on the cast plate of the slave pedal.